If you are looking for a versatile vehicle for your passengers and other purposes, then you should give the 2019 Ford Transit a test run. This passenger wagon is the type of vehicle that is going to give a large number of customers a ride. There are also other versatility features that can bring out a sense of uniqueness in your ride. One of the features that make the Ford Transit very versatile is the choice of seats and arrangements. You also get control over the type of roof you get to have. You also get to decide on the type of items you will have in your vehicle such as a kitchen or a bed. 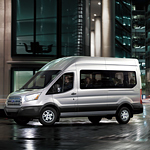 The above features make the Ford Transit Passenger Wagon more like a home as well as a vehicle. You and your passengers are going to experience the versatility of the 2019 Ford Transit.